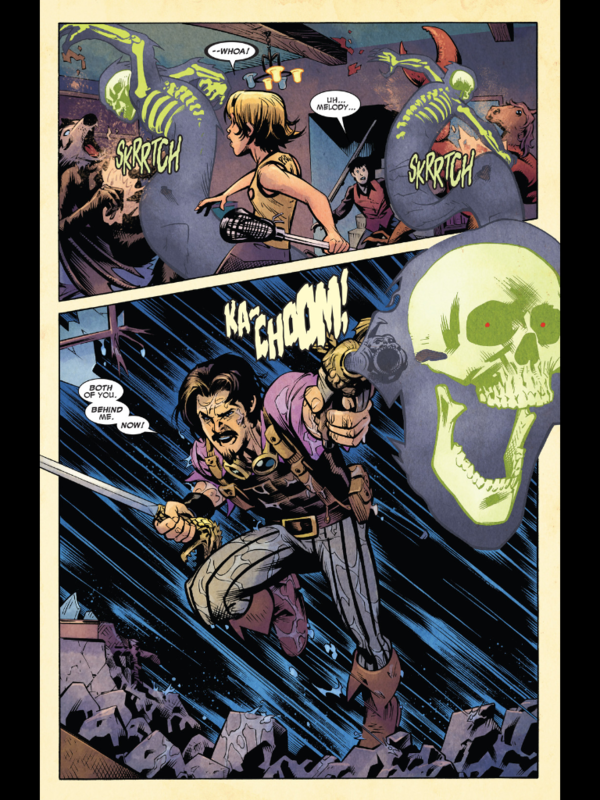 I just happened to be in the Magic Kingdom when I noticed a comic book on the shelf at the Haunted Mansion gift shop, Seekers of the Weird. I didn’t pay much attention. I flipped through the book and decided that if it caught my attention again when the trade came out I’d give it a try. Five issues came and went. The collected edition hit the shelves. It didn’t catch my attention. Quite without my knowledge my wife had been buying issues of Figment for my daughter, a huge fan of the imaginary purple dragon. 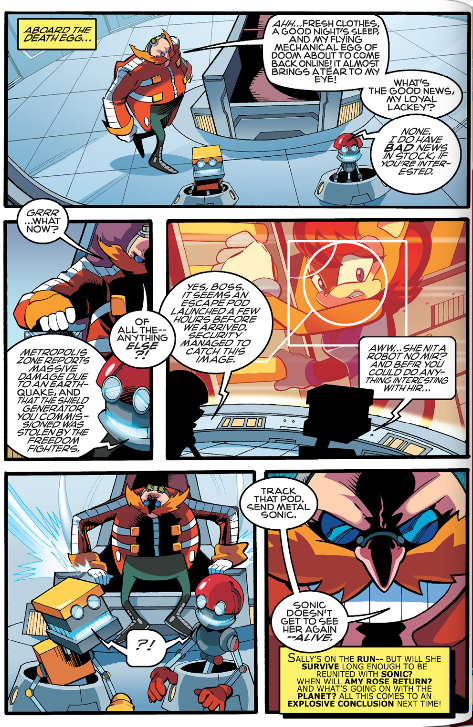 All five issues went into Destiny’s comic box without crossing my line of vision, accompanied a year later by the follow up Figment 2. When my wife discovered they had missed the five issue run of Big Thunder Mountain, she painstakingly tracked down and special ordered every one of them. It wasn’t until Haunted Mansion came out that they saw fit to approach me. “Destiny doesn’t want to read Haunted Mansion,” she said. “I need you to add it to your pull file so I don’t miss any of them.” Ah, me. Les bandes dessinées sont la langue de l’amour. As part of their initiative to broaden their appeal to young boys and male teens, Disney had commissioned a line of comic books inspired by attractions in the parks. I’m not sure how well that part of the plan worked out for them, but the books certainly caught the attention of Disney fans like my wife. I went back and picked up Seekers of the Weird and made sure to snag Enchanted Tiki Room when it hit the shelves once Haunted Mansion concluded. 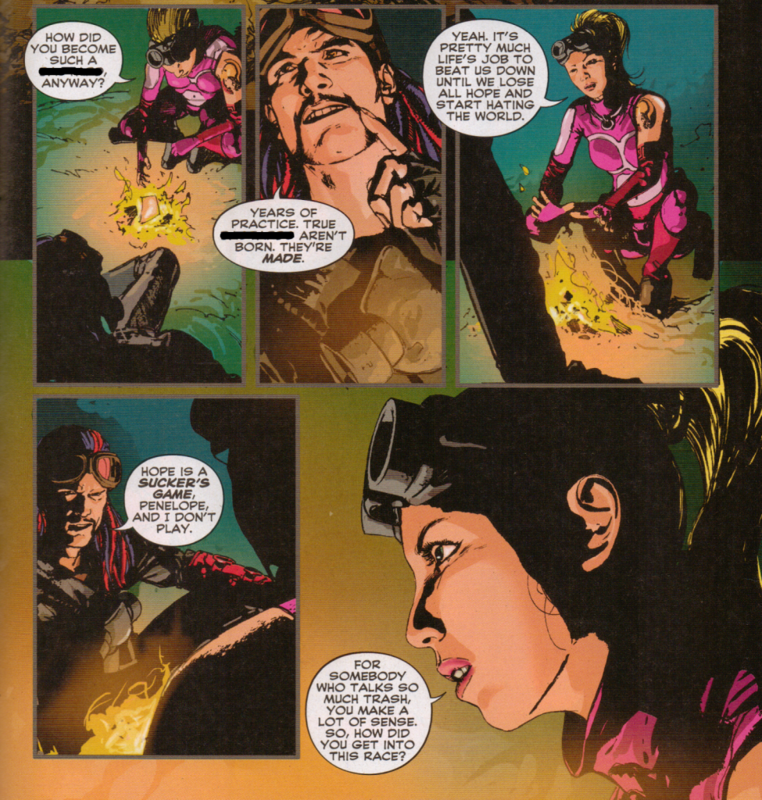 Each five-issue limited series stood on its own merits, disconnected from the other titles, except for the two Figment books. All of them met with the approval of my wife and daughter, but I felt the need to see for myself just what they were doing with the tie-in media. While the other books were nominally inspired by attractions in the parks, Seekers of the Weird came from an idea by Imagineer Marty McClure that never came to be. The original attraction was the Museum of the Weird and it was to be a walking tour through an old house with any number of strange and impossible items on display. 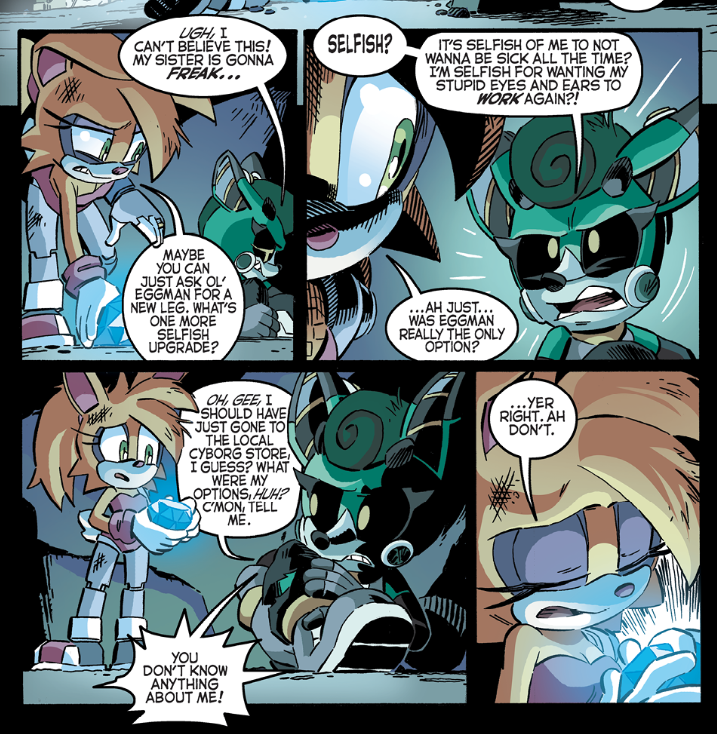 The comic book told the story of brother and sister Max and Melody Keep, who find themselves suddenly embroiled in a war between an ancient magic user and the secret society that opposes her. Facing down a host of magical monsters and otherworldly entities, Max and Melody must team up with an uncle they barely know and don’t trust in order to save their parents, who have studiously kept the “secret” in “secret society”. 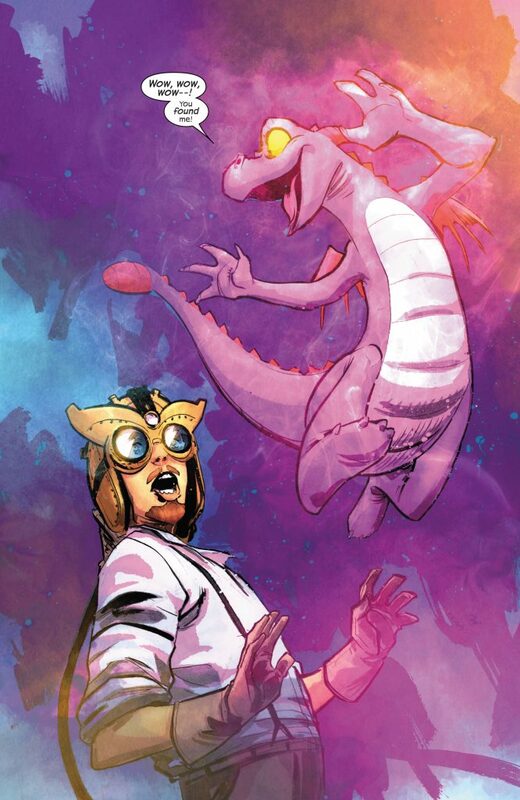 Figment told the story of Blarion Mercurial before he became known as Dreamfinder. 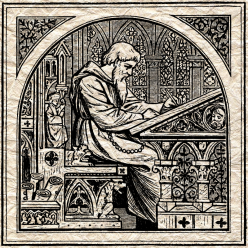 An inventor frustrated by limits placed on his imagination by the laws of physics, Mercurial invents the Integrated Mesmonic Converter to draw energy from the stuff of imagination. Instead, he creates a tiny purple dragon named Figment. Mercurial and Figment then adventure into other worlds until they finally return home just in time to save the Earth from an alien invasion using the power of imagination. Big Thunder Mountain Railroad introduces the reader to Abigail Bullion, a rebellious teenage girl whose father owns the Big Thunder Mining Company. Abigail travels west to live with her father in the mining town, but falls in with bandits and learns of the trouble brewing in the mine. Unable to stand still when she perceives injustice, Abigail begins taking measures to put things right. But things are not as they seem and none of the players have factored in the most important thing in this part of the Old West, Big Thunder Mountain herself. 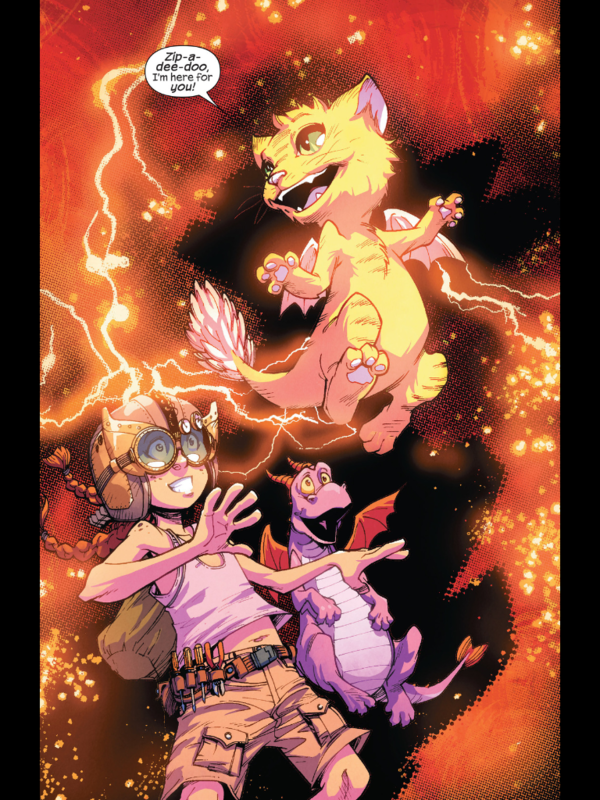 Figment 2 returns us to the present day as Mercurial, now known as Dreamfinder, and Figment bring their adventures to a crashing halt at a little city on the coast of Florida. 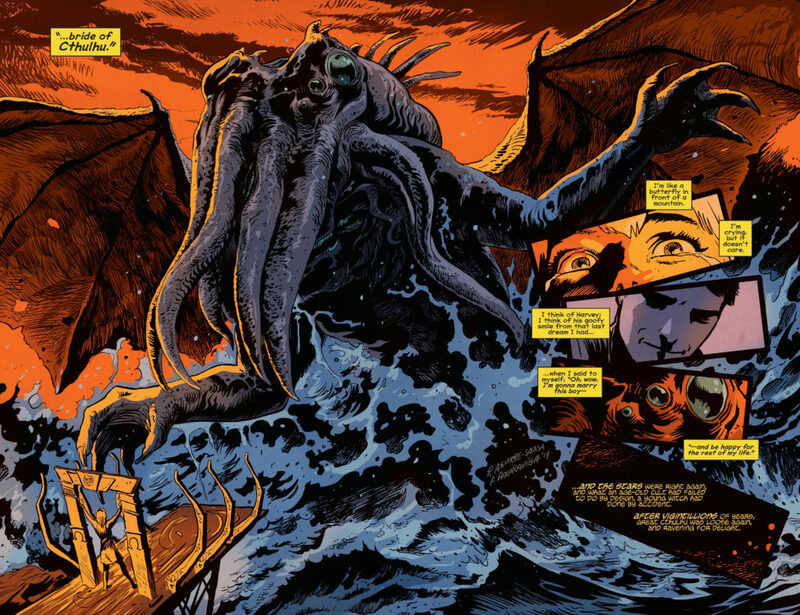 Dreamfinder runs headlong into the legacy of invention that began with his adventures nearly 100 years ago. Imagination, it seems, is limited by neither time nor space. Thrust into the modern world and surrounded by young geniuses with tools that far outstrip his wildest conceptions, Dreamfinder begins to doubt his own abilities and the real power of imagination. It’s up to Mercurial’s great- great- grand-niece Capri to save Dreamfinder from his own doubt with a little Spark of her own. In The Haunted Mansion, teenaged Danny is contacted by Madame Leota and informed that the ghost of a pirate captain is holding hostage the ghost of Danny’s beloved grandfather, recently killed during an adventure in the mountains. Danny must overcome his fears and confront the pirate captain, Constance the bride, and the 999 other ghosts within the mansion in order to save his grandfather and keep from becoming the 1000th occupant himself. Enchanted Tiki Room hails back to the best of 70s and 80s television, with the four feathered hosts taking the place of Mr. Roark in Disney’s version of Fantasy Island. Guests arrive on the island to witness the magic of the Tiki Room and have their wishes granted by the Tiki gods. In the process, they learn a life lesson and hopefully emerge from the experience as better people. With the exception of Enchanted Tiki Room, these are all straight-up adventure stories very similar to the movies produced by Disney Studios. 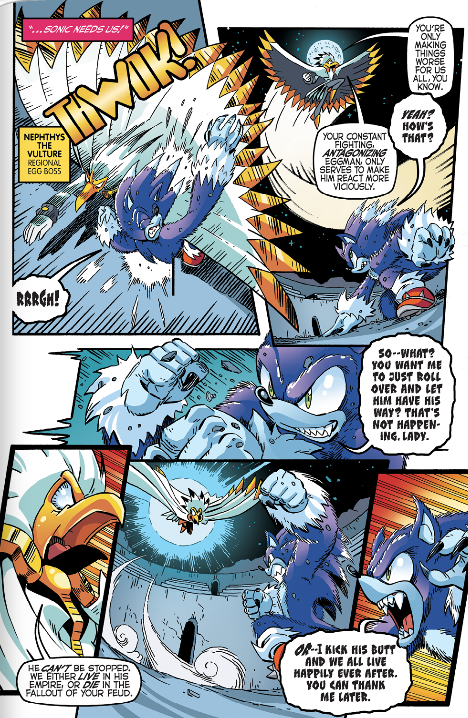 The action is engaging, the pacing keeps the reader involved in the story, and the characters are likeable and relateable archetypes that grow through personal failings as the stories progress. They don’t obsess over the character flaws of the cast or devolve into tedious manufactured personal drama. They don’t belabor a social agenda or abuse the reader with heavily stylized art or “edgy” language. These books are designed to appeal to the widest possible audience and they succeed very well. The stories are approachable and easy to read, with crisp lines and a natural flow to the art. Anyone who picks up these books looking for an adventure story is going to find something they like. Unfortunately, it also means they’ll probably find very little that stands out. Unless you are a massive Figment fan or devoted to the lore of the rides, these books don’t add much to the experience already provided at the parks. Lovers of weird fantasy will enjoy these romps but find they follow a familiar formula and lack grounding in an external setting. These are not bad books and the collected versions make an attractive package at an excellent value. Like many Disney adventure films, each of these adventure stories is a beginning without a continuation, an introduction to a world the reader will likely never visit again nor further contemplate. And that, I think, is a great failing. G.K. Chesterton wrote about the purpose of myth and fantasy in The Everlasting Man, saying, “We know the meaning of all the myths. We know the last secret revealed to the perfect initiate. And it is not the voice of a priest or a prophet saying ‘These things are.’ It is the voice of a dreamer and an idealist crying, ‘Why cannot these things be?’” The failing of the Disney Kingdom adventure books is that they do not leave the reader asking if these things can be, desiring to protect the world from the supernatural with the Seekers of the Weird, or fearing the crushing weight of a perpetually unfulfilled afterlife in The Haunted Mansion. Dreamfinder encourages others to seek the spark of imagination within themselves. Young Danny receives a lecture from his ghostly tour guide that depictions of death should properly be a celebration of life. They are both exhortations that ring hollow, for if humanity could find fulfillment within themselves, we would have little need of a savior. As it is, God has placed eternity in the heart of man so that we would look outside of ourselves to examine His waiting revelation. Finally, I must address Enchanted Tiki Room. The situations are ludicrous without being funny. The characters are quirky without being engaging. The dialog is informative without being witty. The story structure is formulaic without being satisfying. The art, however, is clear and crisp with an eye for motion and the ability to make the attempts at physical comedy seem funnier than they actually are. 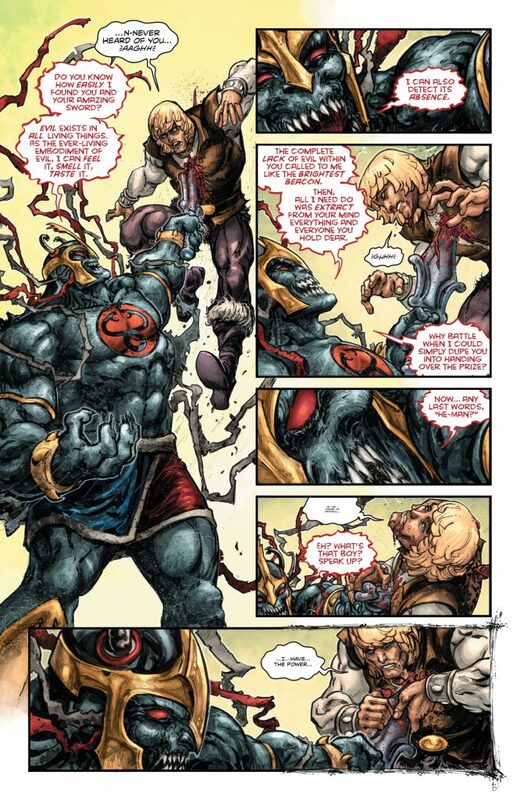 Horacio Domingues handled pencils, inks, and colors for the title and deserves massive props for his efforts. I shall speak of this title no more. Each of the Disney Kingdoms titles must be found under its own name, and I encourage fans of weird fantasy and sci-fi adventure to not dismiss them out of hand. They really do make nice companion pieces to the attractions and most every audience will find something in them appealing. I give Seekers of the Weird, The Haunted Mansion, Big Thunder Mountain Railroad, Figment, and Figment 2 Quality scores of “Satisfying Reads” and Relevance scores of “Missed Opportunities”. I love Scooby-Doo, so when DC added a Scooby book to the Hannah-Barbera revival line it immediately caught my attention. 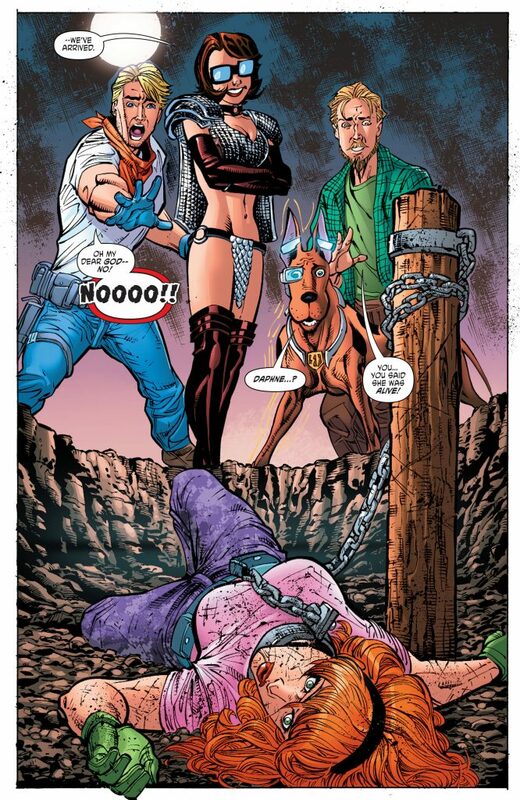 In Scooby Apocalypse, we get a glimpse of what it would be like if the Scooby gang met for the first time just as the world ended. It’s a kind of sci-fi version of The Walking Dead, where the Mystery Inc gang is cast as the survivors of a nanotech plague that transformed the whole world into monsters. The main characters are indeed named Fred, Daphne, Velma, Shaggy, and Scooby. They do indeed ride around in a green van they call the Mystery Machine. Their visual models even show inspiration from the classic characters … and there ends any resemblance to anything remotely Scooby-Doo. The original cartoon endures due to the formula of the mysteries and the chemistry of the characters. They’re obviously tight knit friends who work well together and look out for each other. The Scooby-Doo cartoon mysteries are some of the most well-crafted stories in the business, building on a series of action and character beats to reach a logical climax. 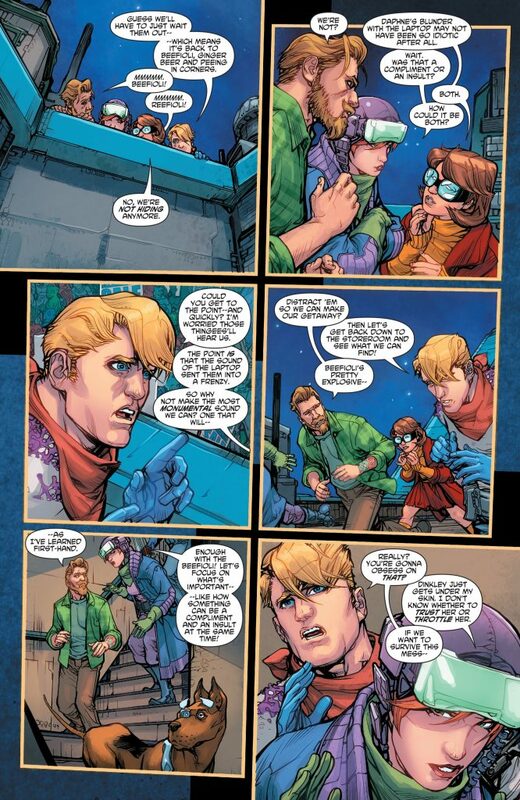 The Scooby Apocalypse comic is instead a series of set pieces tied together through the use of common characters. It’s actually the exact opposite of the cartoons in terms of story and character construction. In fact, “exact opposite of Scooby-Doo” is a pretty good way to describe this comic. The characters are caricatures of teen drama stereotypes that bear no resemblance at all to the classic characters. Fred is a cowardly, helpless, doe-eyed simp, unable to think for himself. Daphne is filled with a reservoir of bitterness and anger married to a domineering and antagonistic mistrust. Velma is self-obsessed and socially non-functional. Shaggy is a prevaricating pacifist that waffles between apathy and anxiety with bipolar intensity. Scooby is used as both comic … relief is really not the right word, “attempt” perhaps? … and as a deus ex machina plot device. And they constantly fight amongst themselves. I’ve always found the Mystery Inc gang endearing and likeable, something impossible for the cast of this comic. 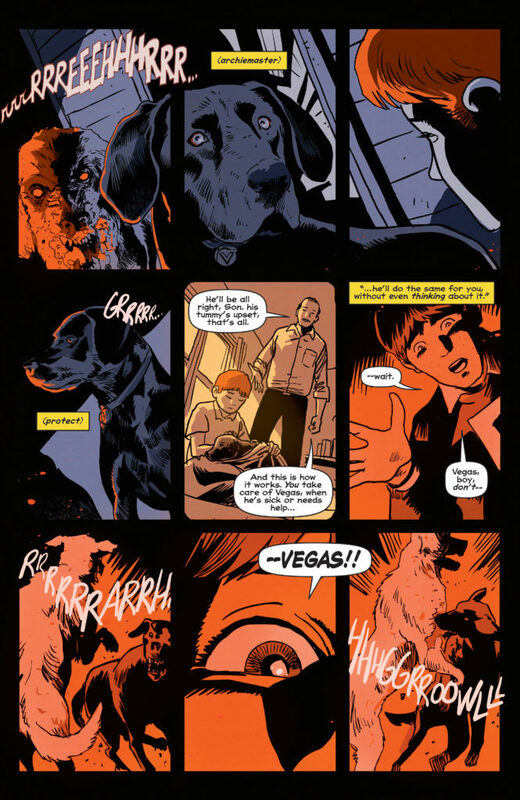 Except for one brief moment in the first issue’s backup story, Shaggy and Scooby are simply not interesting enough to evoke emotion from the reader, and I actively hate the other three with a side order of resentment for the time spent reading about them. I’d take a minute to describe the plot, but I’ve already summed it up. The gang fights and bickers with each other constantly, about everything, and with zero consistency of character. The book is little more than a series of set changes where the cast moves from scene to scene continually sniping and being nasty to each other. I got sick of it very quickly. The rest of the book is a parade of gore, violence, and grotesquerie without reflection or purpose. Elements of the world seem to be presented solely for their shock value, without even the barest attempt at literary device. 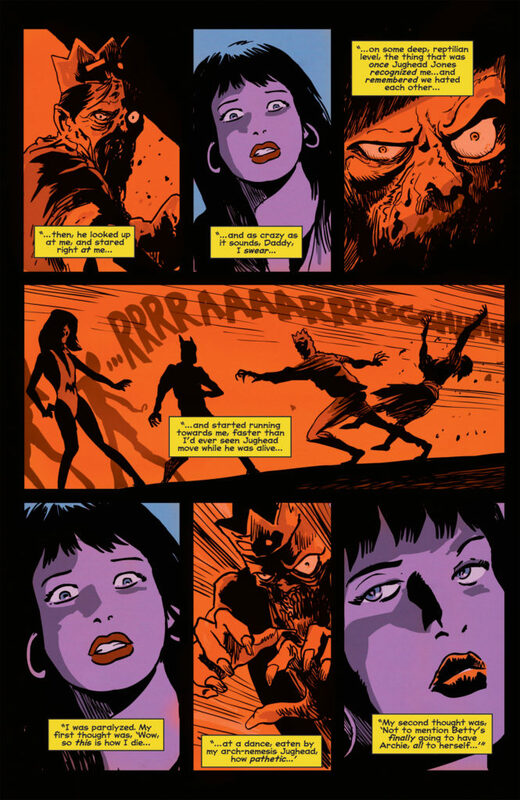 Issue #6 set another distressing pattern for the book by spending the entire issue in a flashback that was meant to reveal Velma’s involvement in the events that set off end of the world. The resulting story belabored a clumsy and blatantly obvious plot point while obsessing over Velma’s inability to behave like a functional adult. Issue #10 wasted the whole book exploring Velma’s fetishistic power fantasies without even attempting to be relevant to the rest of the series. 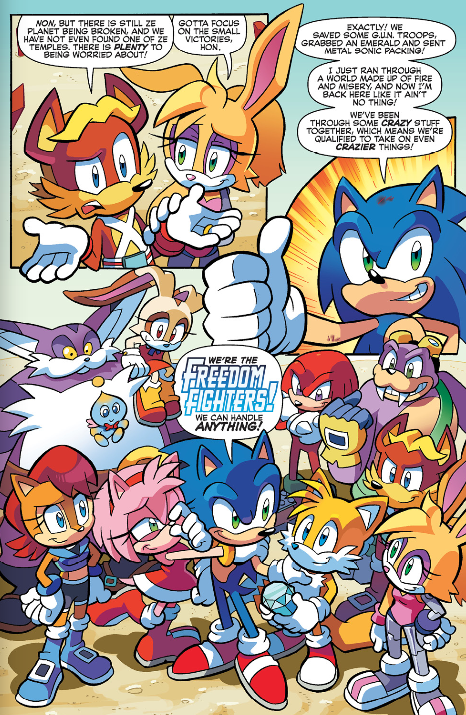 We’re less than a dozen issues into the series and they’ve seemingly abandoned all pretense of telling a cohesive story in favor of finding increasingly shocking and offensive ways of portraying their main characters. 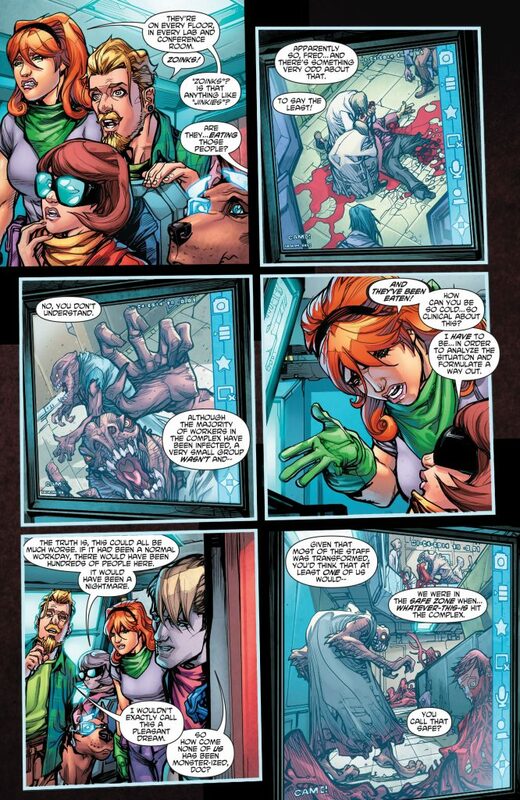 The worst part is that writers Keith Giffen and J.M. 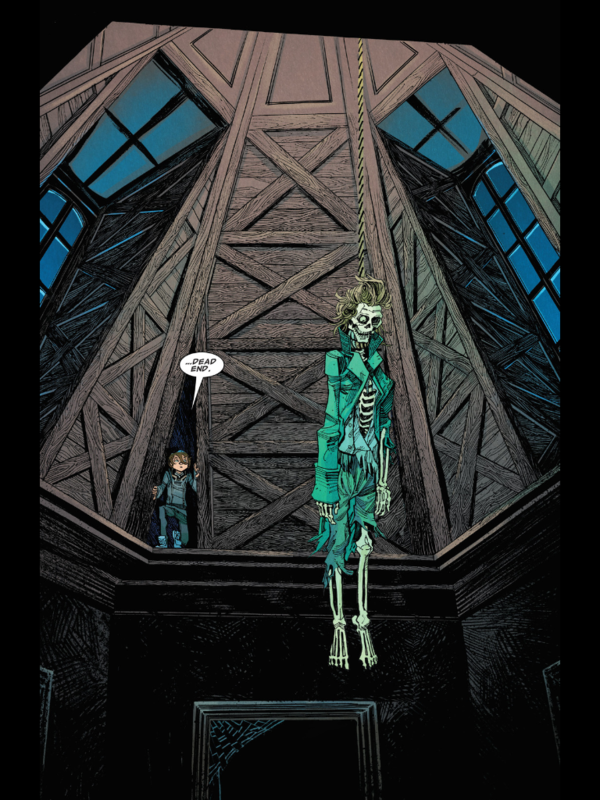 Dematteis have continually and consistently turned out some of the best stories in comics literature. 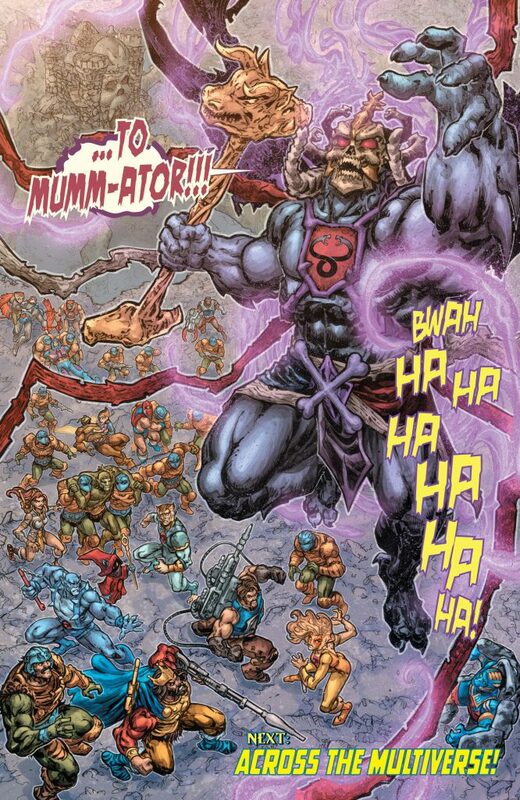 Giffen’s work on Legion of Super-Heroes remains some of my very favorite stories ever. He handled a diverse cast of characters deftly and through at least three incarnations (that I’ve read), telling a variety of stories from lighthearted fun to deadly serious. 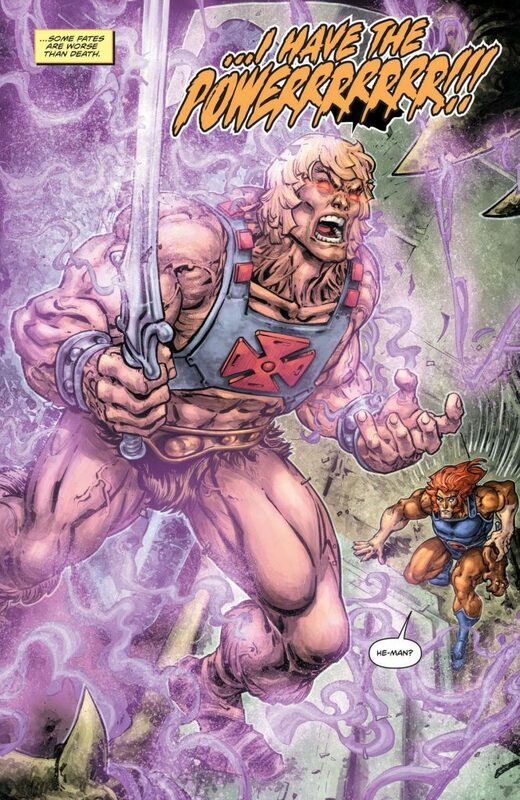 Giffen also helmed Marvel’s Annihilation event, telling a series of often brutal and occasionally touching war stories and elevating characters such as Rocket Raccoon and Star-Lord from forgotten relics to fan favorites. 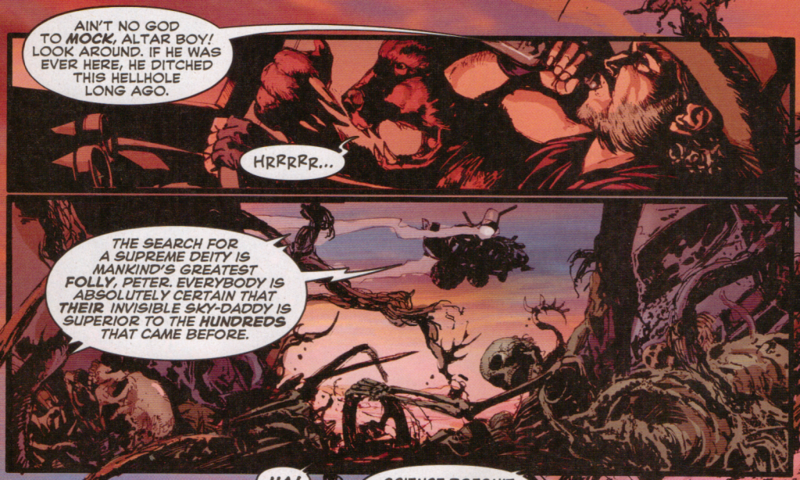 DeMatteis first came to my attention during his run that concluded the first Ghost Rider series. Johnny Blaze’s struggle against the demon literally inside of him resonated with me when I first read those books and continues to define for me the character of the Ghost Rider. 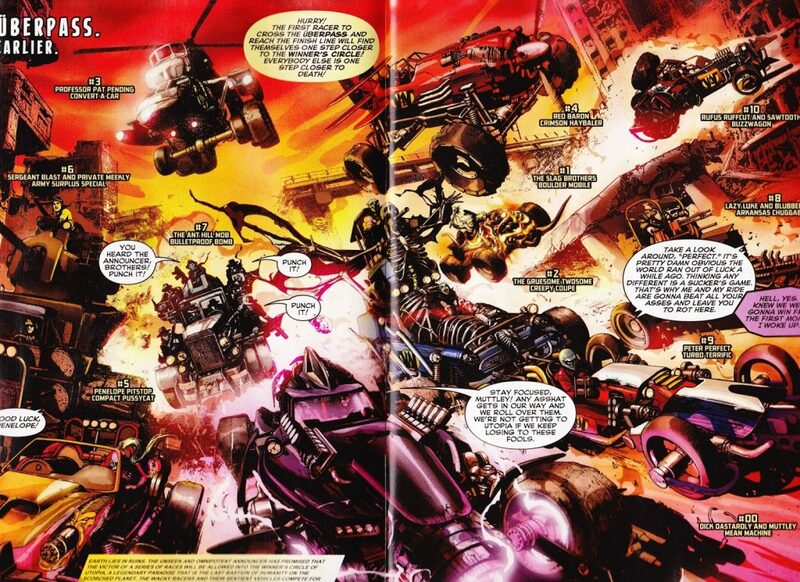 His work on Captain America introduced to me Deathlok and the post-apocalyptic world of the Nth Command. His climactic battle between Cap and the Red Skull dug deep into the truly twisted depths of that villain. I was glued to the Spider-Man books when DeMatteis penned Kraven’s Last Hunt and later tortured Peter Parker with the loss of his friend Harry Osborn to the spectre of the Green Goblin. 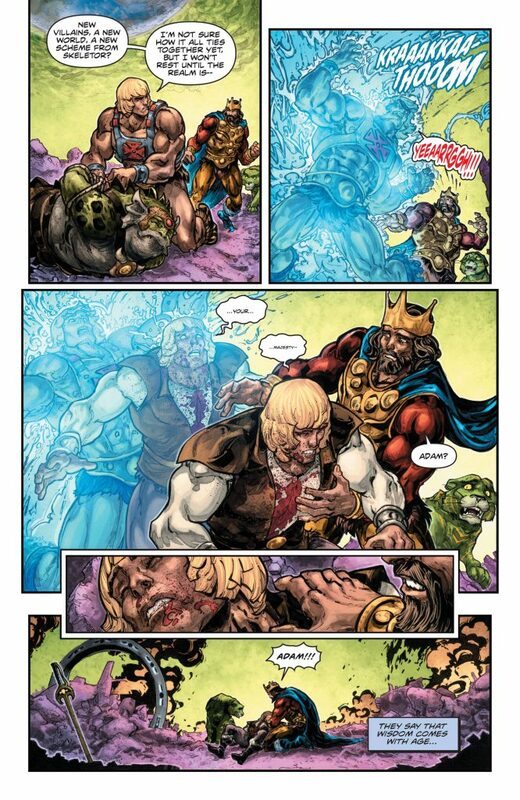 Giffen and DeMatteis, of course, are unquestionably best known as a team for their creation of Justice League International, a book which postulated that superhero comics of the time were taking themselves far too seriously and catapulted obscure characters such as Booster Gold, Blue Beetle, and Martian Manhunter into the mainstream. They proved that superheroes can be funny and likeable and still deal with serious problems on a very human level. 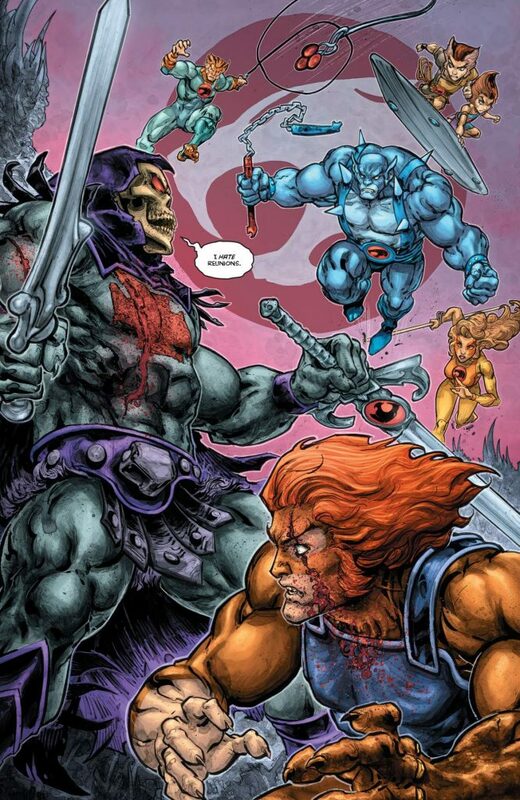 In fact, the Giffen and DeMatteis duo is pretty much my dream team for a story that casts Scooby-Doo and the gang as serious investigators in a world full of dangerous monsters … which makes this kind of epic failure baffling and disheartening. So what can we pull out of this dung heap? Is there anything here worth further consideration or discussion fuel? Not really. 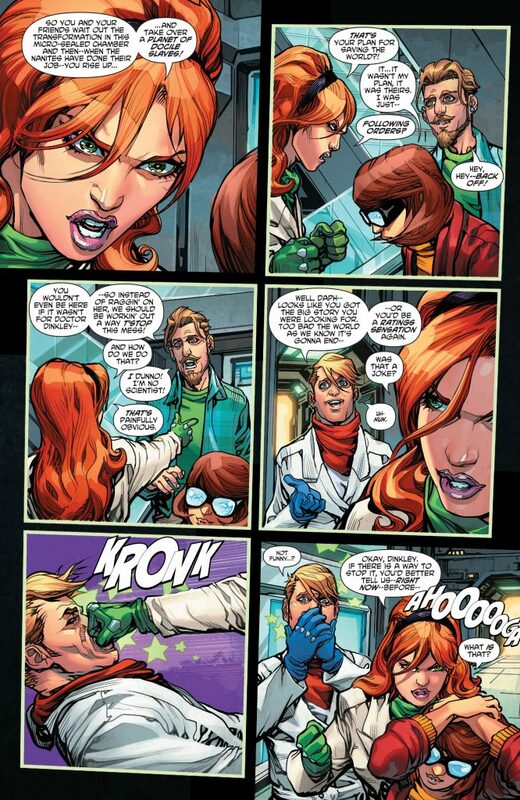 Velma confesses to being a central figure responsible for the nanite plague that transformed the world into monsters. 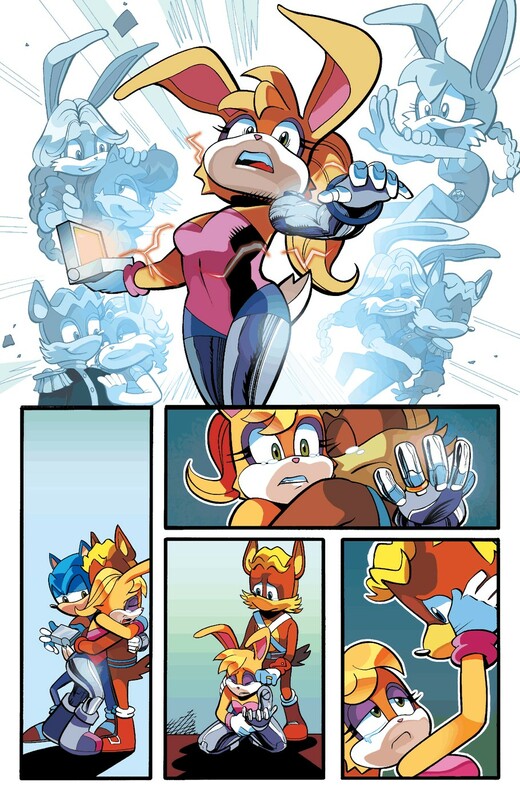 Her primary defense is that she was trying to save the world and that others corrupted her work. But the book never follows up on the ethical question to any kind of resolution, nor does it even pretend to prompt the reader to do so on his own. Beyond that … I’m just writing off the series as an utter waste of time and money. I usually cut books like this some slack, assuming they’re meant for a completely different audience. In this case, I can’t even imagine who that audience might be as I can’t imagine anyone voluntarily continuing to read this garbage. 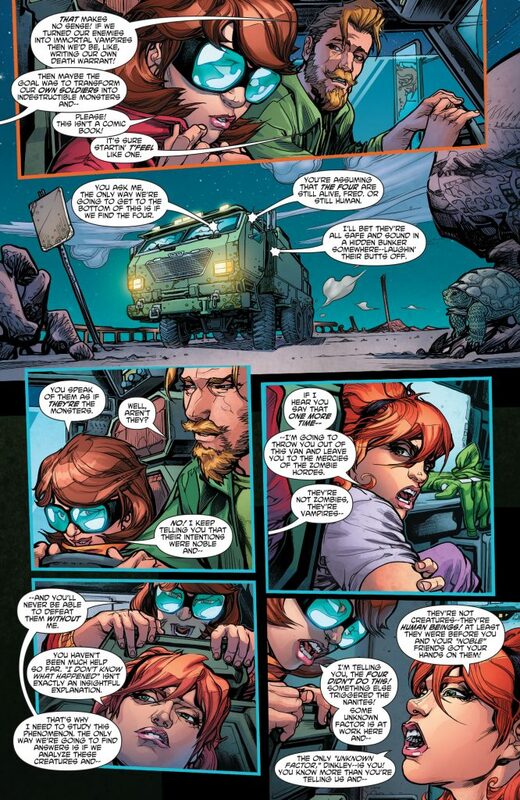 I give Scooby Apocalypse a Quality score of “Terrible” and a Relevance score of “Just Barely”. I’m afraid my association with Doctor Who is not as extensive or storied as it could be. I watched Tom Baker and Elizabeth Sladen on PBS with the rest of my generation but I was always more interested in Star Wars and Star Trek, Buck Rogers and Battlestar Galactica. 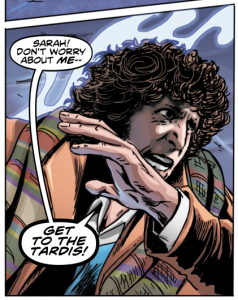 Still, Tom Baker is who I think of as the Doctor and the Fourth Doctor is my Doctor. I have friends who are massive Doctor Who fans and I distinctly remember when Paul McGann’s Doctor movie first premiered that we all threw a party for the advent of the Eighth Doctor. One day, my daughter excitedly grabbed my arm and said, “Dad, you’ve got to see this show!” She turned on BBC America and there was David Tennant and Billie Piper saving the world. She explained patiently, “This is a rerun. He’s the Doctor but he regenerates into new actors. Peter Capaldi will be the Doctor soon!” I smiled, secure in the knowledge that I had done at least one thing right in her upbringing. Fueled by my daughter’s excitement, the current generation of Doctor Who stories became scheduled family time and required viewing. When I decided it was once again time to venture into the world of comics, it was my wife who thrust the first issue of Supremacy of the Cybermen into my hands, saying, “I want to read this one.” Be still, my fluttering heart. 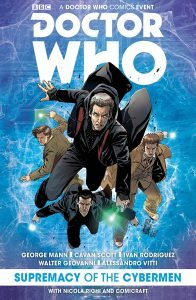 Titan Comics held the current license to the Doctor Who properties and they were taking full advantage of it. They premiered ongoing titles for Doctors Nine, Ten, Eleven, and Twelve. They put out special multi-Doctor crossover events. They delivered limited series with the classic Doctors. It was all a bit overwhelming. I picked a few titles to follow and stuck with the Tenth Doctor, the classic Doctors, and the crossover events. They’ve all been pretty good. Doctor Who stories are sci-fi adventure and mystery stories. They have a certain pacing and sense of discovery to them that provides the “Doctor Who” feel. For the Doctor, it’s not about big, dramatic set pieces or explosive action sequences, it’s always been about choices and the morality of making choices. The Doctor himself is far from perfect and though he’s admittedly making things up as he goes along, he does look good doing it. Most other modern sci-fi stories focus on pushing the bounds of the possible against the inconceivable; the Doctor strives to take the inconceivable and place it solidly within our current frame or reference. Thus, dramatic tension derives from what the protagonist ought to do rather than what he is able to do. 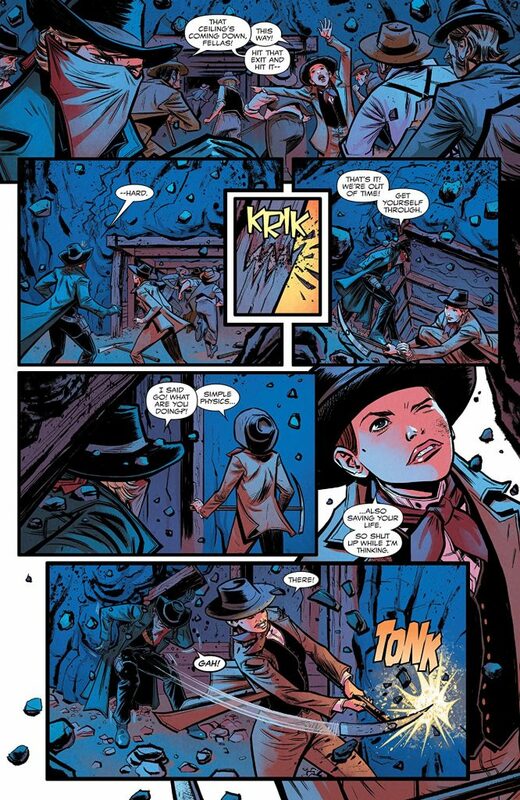 So the real question regarding the comics is: does it feel like Doctor Who? Like the television show, a variety of creators contribute to the final story. In this case, every Doctor’s book has a different creative team. It falls to editor Andrew James to ensure the different titles maintain consistency with each other as well as the source material. I think he did a pretty good job. 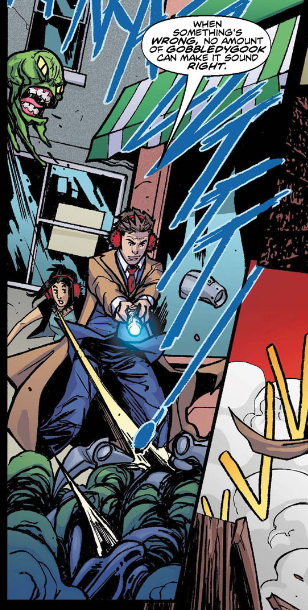 The Tenth Doctor routinely wanders into the middle of a mystery, trying to decipher the reasons behind a dangerous situation before it spirals out of control. He’s a bit of a loner who still manages to find someone with whom he can connect. He dives headfirst into danger fully conscious that he’s the only one who can adequately deal with the situation. His solutions are direct, his responses compassionate. Adventure and discovery are still out there; this Doctor struggles to look at the world with new eyes. Set between the departure of Donna Noble and the Tenth Doctor’s final conflict with the Master, he takes on new companions for his adventures, capable individuals who want to discover the universe. This Doctor is a fighter and a protector who knows better than to retreat into isolation. The Eleventh Doctor is more of a mentor than ever before. He also has new companions, people who are lost and need guidance. The Doctor is whimsical and subtle, coming at things from the side and turning every adventure into a teachable moment. The Twelfth Doctor travels alone. He is irascible and grumpy, taking on adventures because they are thrust upon him. This Doctor seems to be at the end of his patience with meddlers of all kinds, whether their intentions are good or ill. Both the Eleventh and Twelfth Doctors have ongoing titles, but I’ve only read their multi-doctor and anthology adventures. The Third and Fourth Doctors received limited series, each one featuring a prominent companion. The Third Doctor remains a man of action who charges into situations alongside his companions. The Fourth Doctor is still all flashing teeth and flying scarf, secure in the knowledge that everything is going to work out as it should. Their stories carry the unmistakable aura of the late 60s and early 70s, complete with period-accurate dialog and the pseudo-surrealism that dominated the art and visual effects of the time. 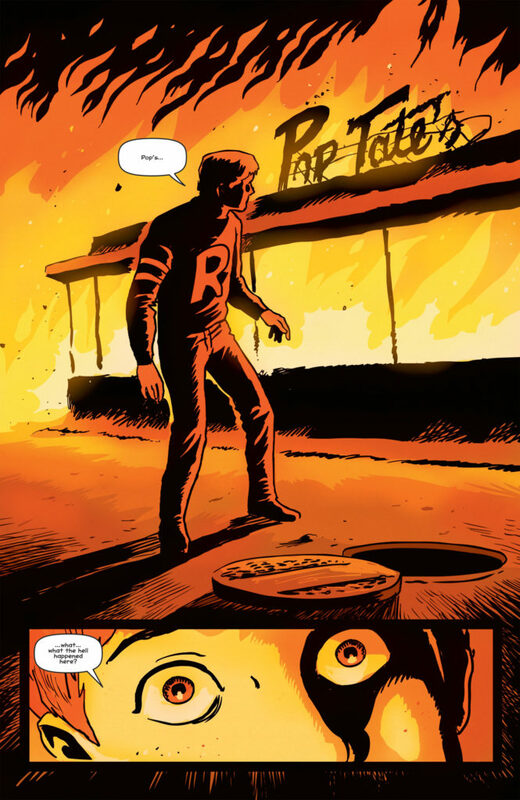 I found both stories to be eerily reminiscent of the show, as if they could have been adapted from the aired episodes. I thought they captured the spirit and flavor of Doctor Who very well. The stories are grounded in optimism and the confidence that we can be better people and make the world a better place if we only so choose to do and be. It’s one of the things that keeps me coming back to the Doctor as a compelling hero. Of course, the Doctor is also predominantly – even defiantly – humanistic and materialistic. So many of the stories deal with creatures on other planes of reality or with other modes of existence that it’s easy to forget the underlying ethos that all of these things are part of the natural order of the world, that those things we describe as spiritual are simply things we do not yet understand. It’s a rational and compelling sola natura argument, made extremely attractive by the character of the Doctor and the show’s emphasis on compassion and the preservation of life. Curiously, the Doctor himself provides the best rebuttal of his own argument. He firmly believes in the existence of morality and is able to frame his moral code in absolute terms; some things are always good and some are always evil. While codes of acceptable behavior vary from culture to culture, the definitions of good and evil do not change. The Doctor expects everyone with whom he deals to understand these values innately, not within their cultural frame of reference but as a function of being a thinking, living individual. By contrast, the villains of Doctor Who are largely mechanical or pseudo-living, the tools of another power. Their capacity for individualism either never existed or has been forcibly taken from them. 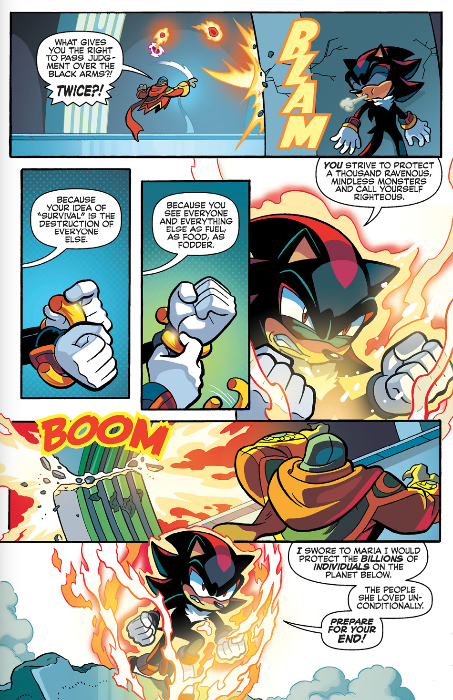 Villainy in the series is always destructive to others and is always by choice. So how is it that the Doctor expects every living being across the galaxy, in every time and dimension, to share a common definition of good and evil? Where does this come from? Doctor Who’s sola natura premise defines as fallacious any logical construction that includes absolute morality. The question never arises within the series, leaving the viewer or reader to seek out the answers for themselves. This is a good thing if you are inclined to explore the concepts of the show. If you are willing to simply take things at face value, the underlying philosophy of the series provides all necessary truth pro forma, leaving no need to explore scripture and offering no validity to any religion’s claims to absolute truth. 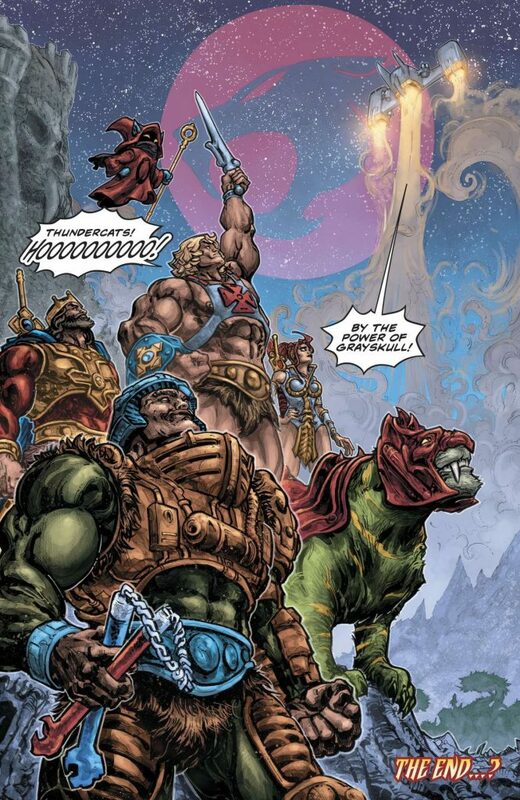 I’ve enjoyed Titan Comics Doctor Who stories a great deal, but I don’t have any of them in my pull-and-hold file anymore, and the fault lies with Titan’s publishing philosophy. Many of the books are printed with multiple covers, each following a different theme and making it very difficult to collect a story where all the covers match. Their printing schedule has been subject to unexpected delays, sometimes resulting in books more than two months apart in the same story arc. I don’t mind waiting to read complete stories, and Titan consistently collects their titles into high quality hardcovers and trade paperbacks. Instead of buying twelves books in a title every year, I only need to buy two and I can find them at the Barnes & Noble around the corner. If you like Doctor Who, the Titan books are a great place to find your favorite Doctor. 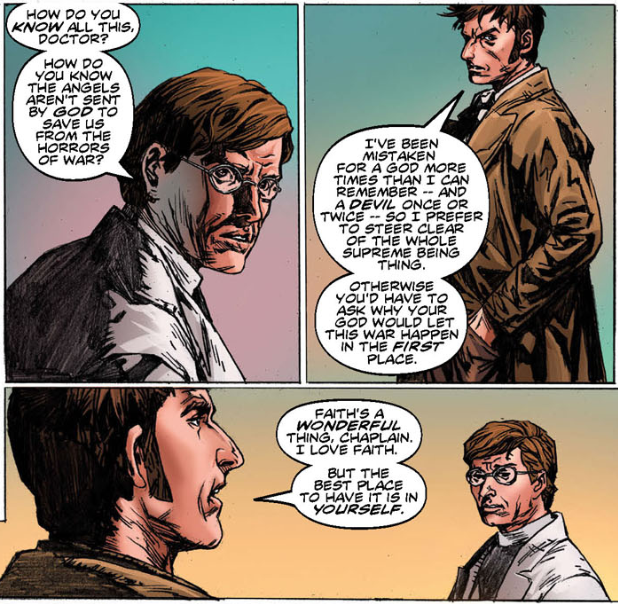 If you like good sci-fi adventure, the comic book versions of the Doctor will scratch that itch for you. 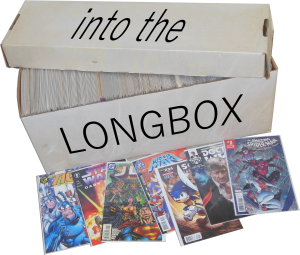 If you’re curious about the Doctor but intimidated by the sheer quantity of the character’s history, the comics provide a convenient starting place that’s expressly intended to make new readers comfortable. I give Titan’s Doctor Who books a Quality score of “Excellent” and a Relevance score of “Subtle, but High”.